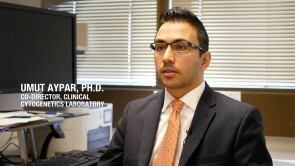 WHY USE MAYO MEDICAL LABORATORIES? 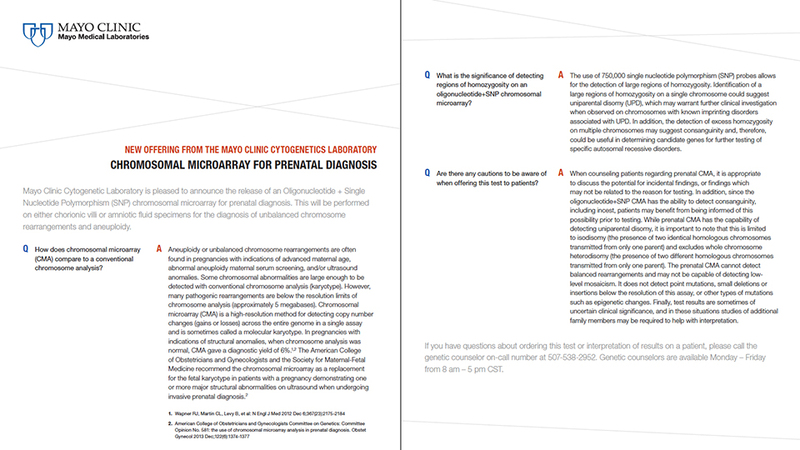 CMA testing generates large amounts of complex data that require a high-level of expertise to accurately assess and classify each abnormality detected. 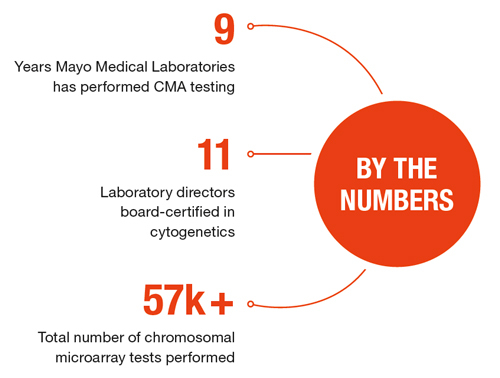 Our laboratory directors review thousands of CMA tests each year and are actively involved in the field of cytogenetics, helping to create testing standards and shape practice guidelines. 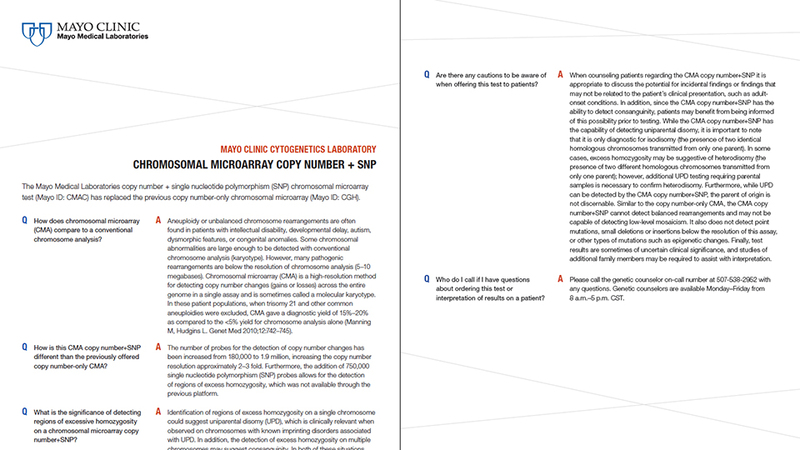 Every CMA test performed at Mayo Clinic is supported by the experience and expertise of our laboratory directors, ensuring we not only provide test results but clinically actionable interpretations.